Aniello Murano is an Associate Professor (with Full Professor habilitation since April 2017) in Computer Science at the Dipartimento di Ingegneria Elettrica e Tecnologie dell'Informazione of the Università degli Studi di Napoli Federico II. Artificial Intelligence; formal aspects for the strategic reasoning in Multi-Agent Systems under perfect and impferfect information; specification, verification, and synthesis of reactive systems; formal languages, automata theory, real-time systems, pushdown systems, hierarchical systems, temporal logics, mu-calculus, model checking, module checking, synthesis, game theory, parity games, logics for the strategic reasoning. Post-doc position on multi-agent systems and strategic reasoning in Napoli. Please contact me if you are interested! Short Resume in English and Italian. Leader of the Automated STrategic REAsoning (ASTREA) Laboratory. 2018: AAAI 2018, AAMAS 2018, ICTCS 2018, IJCAI 2018, LOFT 2018, TIME 2018, KR 2018, ARQNL 2018, EUMAS 2018. 2017: AAAI 2017, AAMAS 2017, CILC 2017(General Chair), EUMAS 2017, FoSSaCS 2017, FMAI 2017(co-Chair), ICTCS 2017(Chair), KRR@SAC 2017, IJCAI 2017, LAMAS 2017, MFCS 2017, SR 2017(co-Chair). 2016:	AAAI 2016, AAMAS 2016, ARQNL 2016, ECAI 2016, EUMAS 2016, KR 2016, IJCAI 2016, LAMAS 2016, MOVEP 2016, SR 2016, TIME 2016, WOA 2016. 2015: AAAI 2015, AAMAS 2015, EUMAS 2015, LAMAS 2015, SR 2015 (co-chair), TIME 2015, WOA 2015. 2014: AAMAS 2014, ARQNL 2014, CLIMA-XV 2014, ECAI 2014, EUMAS 2014, KR 2014,	LAMAS 2014, SR 2014 (co-chair). 2013: ESSLLI 2013 (teaching), SR 2013 (co-chair). 2012: GAMES 2012 (chair). GandALF 2012 (co-chair). Recepient of the International Biennal Vigevani Research Project Prize, 2010-2011. Laura Bozzelli (Sep 2016-Aug 2018). Silvia Stranieri (co-advisor with Walter Balzano). Antonio Di Stasio (PhD in February 2019). Vadim Malvone (PhD in 2018). Giuseppe Perelli (PhD in 2015). Loredana Sorrentino (PhD in 2015). Fabio Mogavero (PhD in 2011). 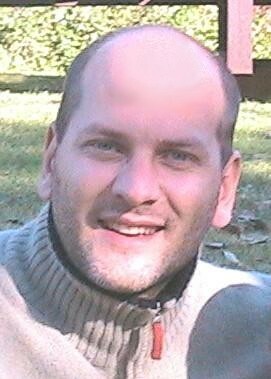 Alessandro Bianco (PhD in 2011). Ricevimento: Martedi' dalle 14:00 alle 16:00. La prova di Laboratorio di Programmazione prevista per il giorno 18/02 e' stata spostata al giorno 22/02 ore 10:00, laboratorio Giove. Prenotazione via mail.